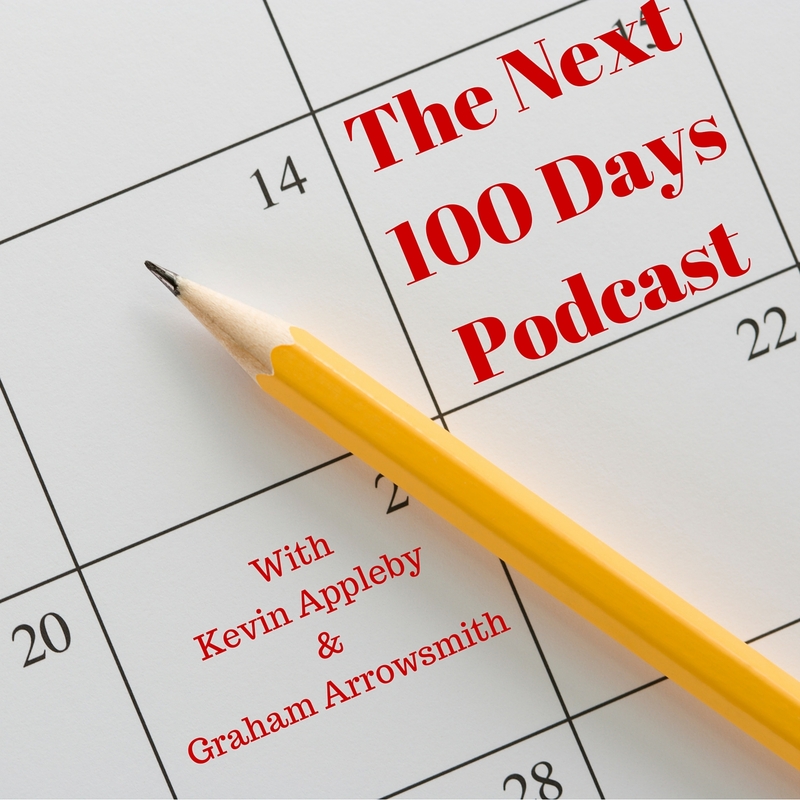 Andrew Gibson joins us on The Next 100 Days Podcast to talk about business coaching using solutions focussed practice. He is an Aberdonian who has been in Yorkshire for 20 years, and he runs Business Services Leeds Ltd.
What is solutions focussed practice? Solutions focussed practice is a set of conversational skills applied whenever anyone has a goal or objective. Solutions focussed practice started from therapy sessions. Andrew Gibson uses solutions focussed practice in business. He explores what will be different in for you when you get to where you want to get to and helps you make sure are aiming for the right things. Have you ever bought something or done something and then asked “Is that what I really wanted?” Andrew’s role is to make sure it is what you really want BEFORE you make the decision. Solutions focussed practice focusses on goals and explores what you really want to achieve. Andrew uses it in business, but knows practitioners that use it in a variety of settings: mental health; therapy; sports; and in prisons. Imagine you have already achieved the goal, what does it feel like. You’ve overcome a barrier, earned £1m this year …..
what will be different? Why do you desire it? from this Andrew helps you identify the next small step that moves you to where you want to be. that you can deliver in your capability your resources, and you’ve sense checked that the destination is what you actually want. Every journey is 1000 small steps. Our Human tendency is to look for most complex most expensive solution. We need to simplify. Small steps let you measure and notice differences. You can decide quickly if these are the differences you want to have. If not, you can change early. Solutions focussed practice is good to use in a workshop with a team. Andrew is currently using the technique while working with a charity on their 5 year plan. How does solutions focussed practice work in the next 100 days? 100 days is a great timeframe for short term plans. 100 days is great for defining and executing the first small steps that put you on the path to your bigger goals. The process is often circular, an iterative process takes place until you find whats working. 100 days is an ideal timeframe to iterate within. Whats the history behind solutions focussed practice? The Brief Therapy Institute in Milwaukee developed solutions focussed brief therapy in the 1970’s. It has its roots in Ericsonian model developed at MIT in the 1930’s. Unlike much business coaching and mentoring, solutions focussed practice is not based around the practitioner being the expert. The business owner is the expert in his own business. He already knows his business and the things that work. The coach simply guides him to the best solution. The practitioner should keep his advice to something factual or something proven to work, he should avoid giving opinions. What are the questions that work? What will you notice? how will you feel?…..and what else? but often it is easier to look at outcomes from other peoples perspective, so its powerful to ask about this. What will others feel? Your customers? Suppliers? Your colleagues and staff? Friends and family? Some strong conversational skills are needed. Skills that will bring out the true desired outcomes. One individual’s interpretation of happy can be very different to the next, so skills are needed to help you explore deeper. The question “why would you be happy?” may need to be asked in many different ways to get to the real desire. Solutions focussed practice provides a subtley different kind of help. We’ve been brought up to offer suggestions. Solutions focussed practice leads the client to their own solution. The technique is powerful in team meetings, especially where there are lots of competing ideas. It helps explore all options and choose the best. Not the ones suggested by the most senior or the loudest voice. What are the questions that start the relationship with a client? What is the difference the client wants after working together? Can I help realise those differences?